We are happy to announce that our 2016 Vacation Planner will once again be printed and delivered to our offices prior to the New Year. We will commence our deliveries to Kamloops hotels and attractions early January. Several thousand are also distributed at over 300 touch points in key markets. This year, local photographer Mary Putnam&apos;s image graces the cover. Mary and her family are avid outdoor enthusiasts in the Kamloops area and happened to be hiking the Sunset Trail in Kenna Cartwright Park when this photo was captured. Mary has been drawn back to this calming viewing platform on several occasions to capture the beautiful reflection over Kamloops Lake. This photo is all about revealing Kamloops - our landscape, hidden gems, unique geography and ample opportunities for abundant adventures. Thank you to everyone who placed ads in the guide this year and helped contribute via photos and editorial. 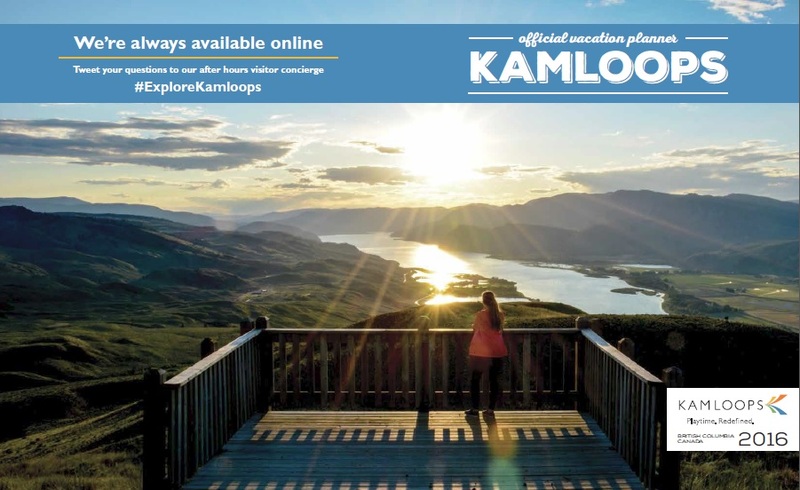 We are excited to get these out and help visitors plan their trip to Kamloops.